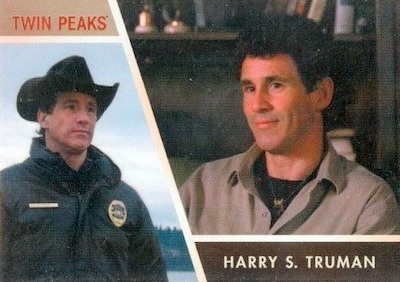 The drama continues with 2018 Rittenhouse Twin Peaks trading cards. Documenting the cult classic series from Mark Frost and David Lynch that began in 1990, each Hobby box includes a pair of autograph cards. Every box also contains multiple inserts and parallels. 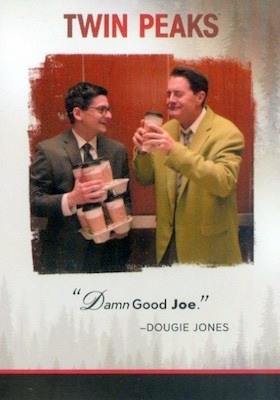 Like nearly all Rittenhouse releases, a custom binder for the product offers an exclusive promo card. Hobby boxes are priced at $99.99. 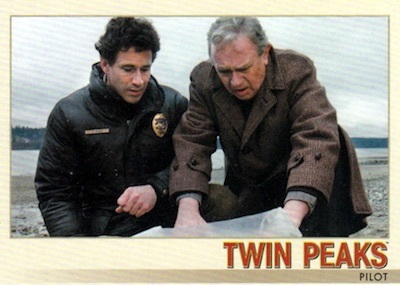 Featuring a comprehensive summary of all 30 episodes from Season 1 and Season 2, the 2018 Rittenhouse Twin Peaks checklist includes 90 base cards. In addition, numbered Retro parallels average 1:12 packs and cover the entire base lineup. 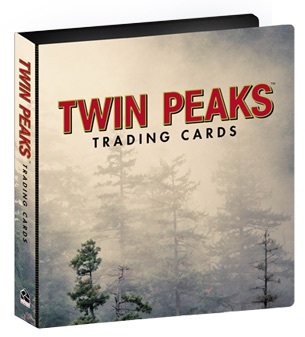 The long-awaited third season is found via the 54-card 2017 Twin Peaks: A Limited Event Series set at 1:8 packs. There are also 42 Character cards (1:12 packs) and 15 Quotable cards (1:24 packs). The rarest insert line is the case-hit "It's Happening Again." These two poster cards combine to average 1:288 packs. 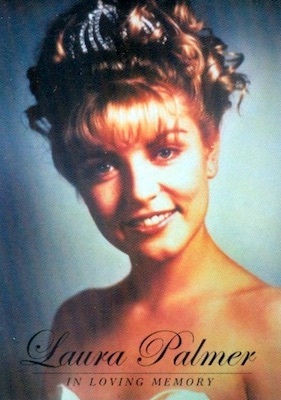 A Laura Palmer Memorial card acts as a case topper. 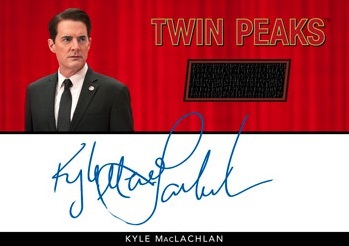 Fans of the show will find many 2018 Rittenhouse Twin Peaks autographs of note, including Kyle MacLachlan as Special Agent Dale Cooper and series creator David Lynch. Collectors will also likely know David Duchovny (as Agent Denise Bryson) from his work on The X-Files. Combining to drop two per box, there are many Autographs and Dual Autographs to chase. For those buying in bulk, it is good to be aware of the 2018 Rittenhouse Twin Peaks incentives earned by purchasing multiple cases. 90 cards. Buy complete base sets on eBay. PARALLEL CARDS: Parallel (1:12 packs), Printing Plates (Archive Box). 45 cards. 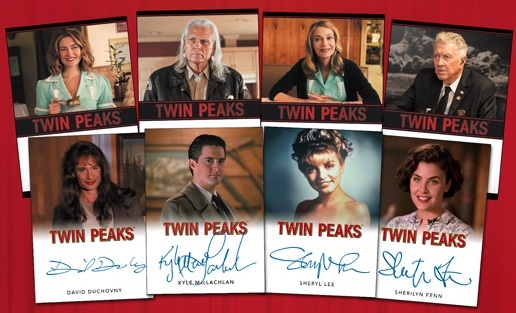 Shop Twin Peaks autograph cards on eBay. Combine with dual autographs to average 1:12 packs. SP Key Ranges: Limited (L) = 300-500; Very Limited (VL) = 200-300; Extremely Limited (EL) = 100-200; Scarce (S) = 100 or less. 8 cards. Combine with main autographs to average 1:12 packs. All dual autographed noted as Scarce, which means 100 copies or less. Dream Come True, i cannot wait for this release i will easily do a case. When are these being released? How do I purchase? Boxes are sold online or at hobby stores. 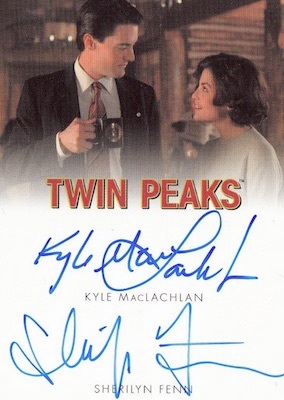 are you aware if the same amount of cards are signed by each actor or would, for example, David Lynch only sign a tenth of what others may sign? The autograph card amounts should vary by the actor. Rittenhouse normally issues the checklist with production ranges for each signer. any update on the checklist / list of signers as yet? Still waiting on the final list.